The Uncharted Zone has become world famous over the years with music videos produced by Phil Thomas Katt for Gulf Coast Artist. In January 2009 UZ-TV went Viral on the internet. Artist from all over, wanted to be on UZ-TV, bands from Texas to Michigan visited the Green Screen Studio and had music videos produced, as well as a New York Record Company commissioning Phil Thomas Katt to work his "Magic" on a video, Starring Saturday Night Live Alumni, Horatio Sanz. The Uncharted Zone's YouTube page has had almost 6 Million views to video uploads from viewers all around the globe. Katt Productions also did a Product placement deal for Frito-Lay & Produced a Music Video Project for General Mills' Fruit Gushers Snacks. 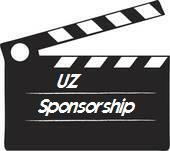 UZ will routinely shot Music Video footage at sponsors location if the sponsor is also a Music Venue or has musical events. Banner/Logo Links are Links Designed from your logo on TheUnchartedZone.com Home Page to your website or to a UZ Video Page & Playlist of your videos. The Uncharted Zone episode Spots are Internet commercials that appear within the weekly Musical Episode of The Uncharted Zone. The Episode is showcased on TheUnchartedZone.com, UZ's Facebook Page, UZ's Twitter Page and it's uploaded to The Uncharted Zone YouTube Channel and will be available for embed on your web site as well. The iUZ Playlist includes all of UZ's latest Music Videos, Special Reports, Music Videos Re-entered into the UZ Artist Survey & Commercials by UZ Sponsors. iUZ is featured on The Uncharted Zone Homepage and The Uncharted Zone YouTube Channel and will be available for embed on your web site as well. Video Page & Playlist is a web page within TheUnchartedZone.com domain that features a video player/tv screen that contains videos shot at or about your business. Click Here to see a sample of this kind of page. the page also includes the address, phone number and an interactive map to your business location. UZ Social Media Marketing consist of several social networks that we are involved with including Facebook, Twitter & YouTube. We post your music schedule, your specials and events to our ever growing audience. UZ Special Report valued at $350.00 complete with interviews with you and or your staff showcasing your place of business in a well produced news style report. The UZ Special Report will show on TheUnchartedZone.com, UZ's Facebook Page and UZ's Twitter Page. it will also be uploaded to The Uncharted Zone YouTube Channel and will be available for embed on your web site as well. The # 1 Stories Sponsorship valued at $100.00 This sponsorship helps us create a documentary about a # 1 UZ Music Video, from the ever growing list, complete with interviews from the artist when possible, clips from the Music Video and in some cases a behind the scenes look at the production of the Music Video. You as a sponsor are helping us preserve UZ History and will receive recognition in the intro with your logo on screen as the sponsor for this segment. Plus the segment will remain on YouTube and our other UZ Pages including your sponsorship recognition indefinitely. The Segment will be available for embed on your web site if you so desire. The Help An Artist Achieve Program Sponsorship valued at $500.00 This Program is designed to assist a deserving talented artist in getting a much needed high quality Music Video Produced. We believe that for a Music Video to be competitive it needs at least 25 Clips/Edits within it and with our production rate of $20 per clip that's $500. Many talented artist just can't afford that. With this program, whatever amount they may have, if any, we add your $500 to it. Your sponsorship assures a deserving artist will receive a High Quality Hi-Def Music Video. You are welcome to choose the artist if you like but generally we request audition CD's from artist over 2 or 3 weeks The Promo Request feature your name as sponsor. You Can See Samples Of Music Videos Here. You as a sponsor will receive recognition in the intro with your logo on screen as the sponsor for this Music Video. Plus the segment will remain on YouTube and our other UZ Pages including your sponsorship recognition indefinitely. The Music Video will be available for embed on your web site if you so desire.